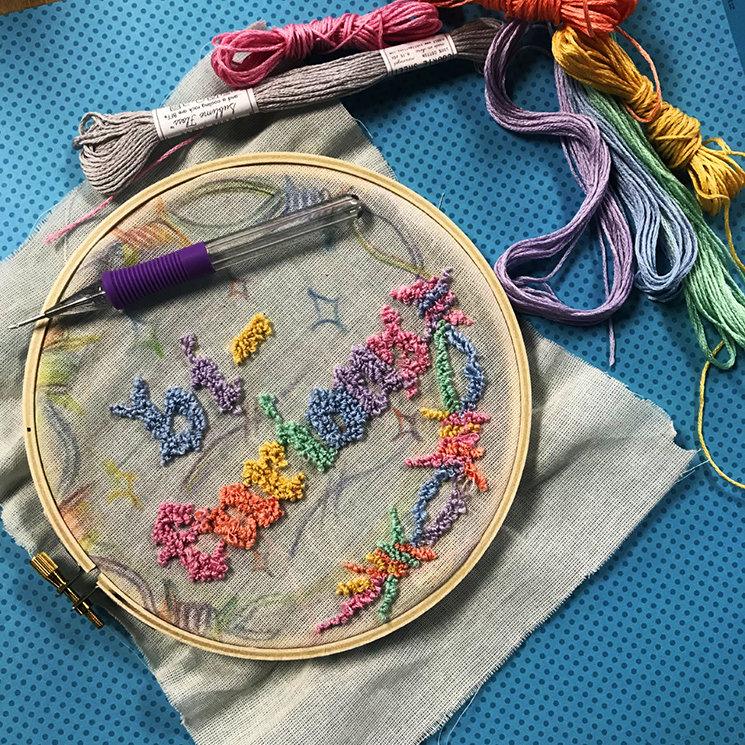 collagepdx: Punch Needles - A Fun and Easy New Embroidery Option! Punch Needles - A Fun and Easy New Embroidery Option! Needle punching is a craft or art technique of looping yarn, floss or ribbon in the format of a pattern through fabric. The looping gives the pattern a rug like appearance. The origins of needle punching are debatable. Some claim it has been in existence since the ancient Egyptians began making needles out of hollow bird bones, others claim needle punching originated from the Old Believers in Russia, while others trace its origins back to Germany or England. Needle punching is used to embroider items, create wall hanging, ornaments, pillows, rugs and other décor and crafts. 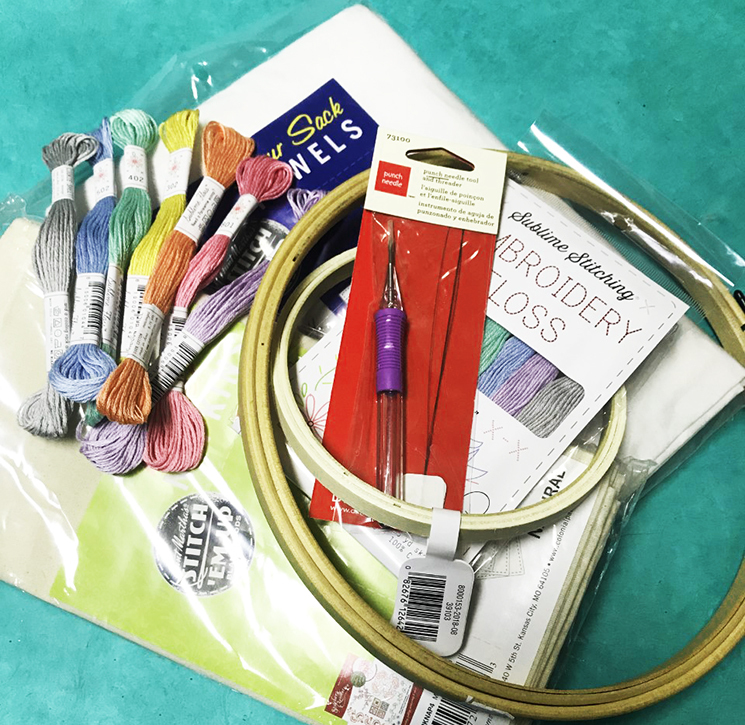 Supplies you'll need for Needle Punching include fabric, embroidery floss, a punch needle (with threaders), and an embroidery hoop. 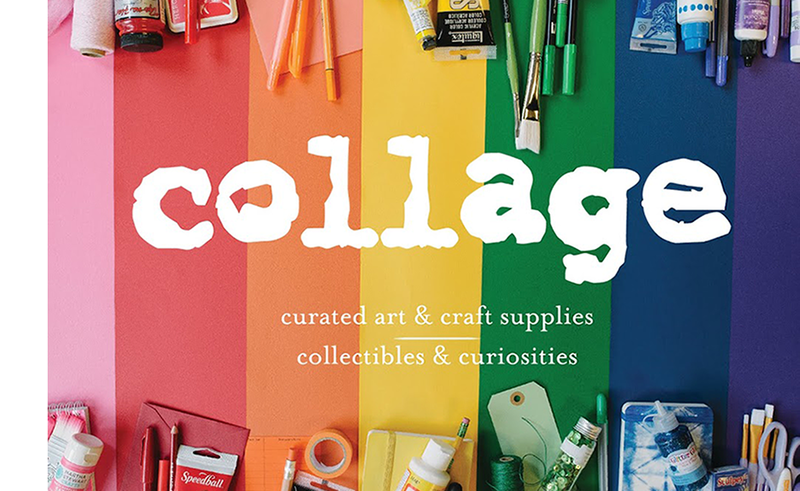 All supplies are available at collage. 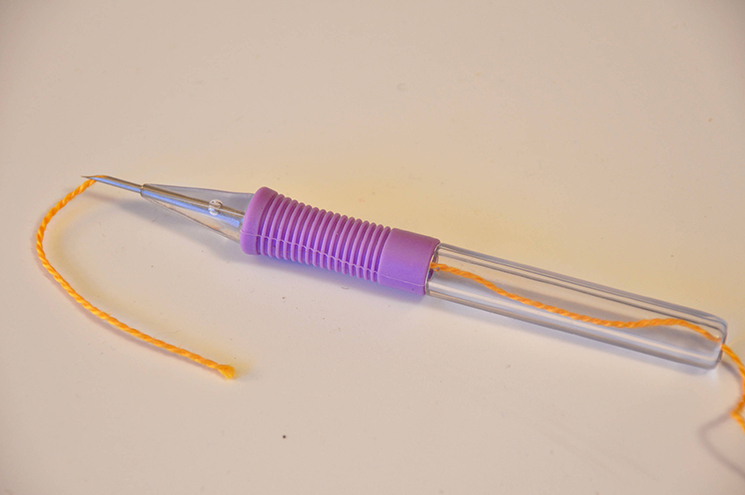 The punch needle comes with a threader, and the floss goes through both sides of the needle. Follow the instructions on the package to get it right! Punch needling yields beautiful results! Work in progress by collage's own, @hournoon.